This past Tuesday, the Colorado House of Representatives unanimously passed the Colorado felony DUI bill (HB 15-1043), pushing this controversial bill one step closer to becoming law. Sponsored by Rep. Lori Saine and Rep. Beth McCann, the Colorado felony DUI bill proposes making a fourth DUI conviction within a lifetime a Class 4 felony offense. While earlier versions of this bill had also intended to make third DUIs felonies if certain aggravating circumstances applied and/or the third DUI was within 7 years, this provision has since been revised in an effort to appease opposition to the bill. With the House having unanimously passed the Colorado felony DUI bill (HB 15-1043) this past Tues., this controversial bill is one step closer to becoming law. 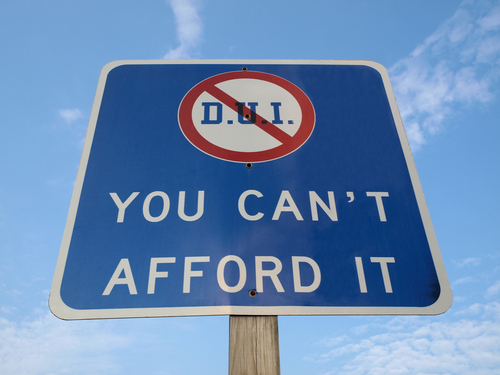 One of the major points of contention that opponents of this Colorado felony DUI bill have had has been the substantial costs this bill will generate – especially for the Colorado Department of Corrections (DOC). This is because this bill is expected to impact between 1,500 and 2,000 individuals (annually) whom – if convicted – would likely be spending between 2 and 6 years incarcerated (as opposed to spending days, weeks or months in jail if convicted on misdemeanor DUI charges). The most recently issued legislative reports regarding these costs have estimated that enforcement of the bill will cost the DOC nearly $28 million (from 2016 through 2020). Although these costs are significantly reduced from what they were prior to the revisions to the Colorado felony DUI bill, they are clearly still steep – and it’s unclear at this time if further effort will be made to try to reduce them before the Colorado felony DUI bill moves onto the Senate for review/voting. Colorado Felony DUI Bill: Will It Be an Effective Deterrent? The Colorado felony DUI bill does not contain sufficient provisions for dealing with one of the underlying issues with repeat drunk drivers – the addiction to alcohol. Without such provisions, it’s likely that people with alcoholism issues will continue to get behind the wheel after drinking booze – so the harsher punishments of the law won’t necessarily be an effective deterrent. As we’ve noted in our previous blogs regarding the progress of this Colorado felony DUI bill, this – as well as the cost concerns – has been an important point of opposition for some time. While the cost concerns seem to be getting addressed, however, the addiction/treatment point has not. Whether it becomes a more prominent concern among legislators as this Colorado felony DUI bill continues to move forward, however, remains to be seen – and we’ll continue reporting the latest news about this bill to you here in our blog… so, stay posted! Have you been charged with a DUI? If so, you can turn to the Denver and Boulder Metro Area DUI lawyer at Griffin Law Firm for experienced help and the best possible defense. With more than 18 years’ experience in the criminal justice system, our attorney understands the complexities of the system, the challenges different defendants can face and the best ways of overcoming these challenges to bring criminal cases to successful resolutions.